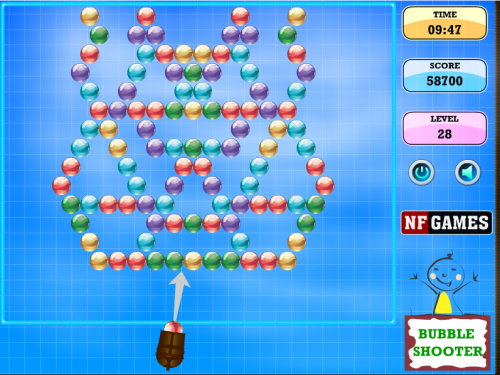 Description Bubble shooter level pack includes best features of a bubble shooter game as well as a list of challenging levels. One must complete a level in allowed time. Early you complete the level more you will get the high score. Controls Use mouse to set the angle and shoot the ball towards same color bubbles.